Due to the government shutdown many people who receive SNAP to aid with their food costs will see a large gap between their benefits. When the government first shut down in late December, February SNAP benefits were sent out early to ensure that people would still receive SNAP benefits for that month — with most of them being sent out by Jan. 20. Since February benefits were sent out early, and the next month’s benefits won’t be sent out until March, SNAP households could see benefit gaps of up to 50-60 days. Across the United States about 15 million households could experience a gap in SNAP benefits of more than 40 days. More than 4 million low-income households, including 8 million people, could experience a gap of more than 50 days. In Minnesota one third of SNAP households are expected to see a 50+ day gap in payments between February and March. A gap in SNAP benefits will put a strain on households that already have extremely tight budgets. Below is a list of resources if you or people you know need emergency food assistance, whether it be food shelves or dining sites that provide free, hot meals. 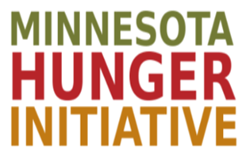 Minnesota Food Helpline: Hunger Solutions is the perfect first step if you are seeking help and don’t know where to start. They operate the Minnesota Food Helpline, a resource that assesses the caller’s situation and provides solutions to their food needs. Give them a call at 1-888-711-1151 if you need any type of help. Helpline hours are 8:30 a.m.-4:30 p.m. Monday-Friday. Food Resources Map: Hunger Solutions also has a feature where you can type in your address to find food-related resources near you. These resources include food shelves, dining sites, stores that accept SNAP, and more. Head to the interactive map here. Dining Sites: Loaves & Fishes operates free, no-questions-asked dining sites around the metro. Simply walk in and enjoy a hot, nutritious meal. A list of their dining sites and hours can be found here. Community Cafe: Pillsbury United communities offers free, hot meals in their community cafes prepared daily by experienced chefs. Community Cafe is open at PUC’s Waite House Monday-Friday 11:00 a.m. to 12:30 p.m. and at their Oak Park Center Tuesday-Thursday 5:00 – 7:00 p.m.
Food Shelves: Pillsbury United Communities also provides food to Minneapolis residents through two food shelves, located at the Brian Coyle Center and Waite House. Hours of operations and contact info are located here. With an increased demand for emergency services, many organizations will be in need of more food and monetary donations. 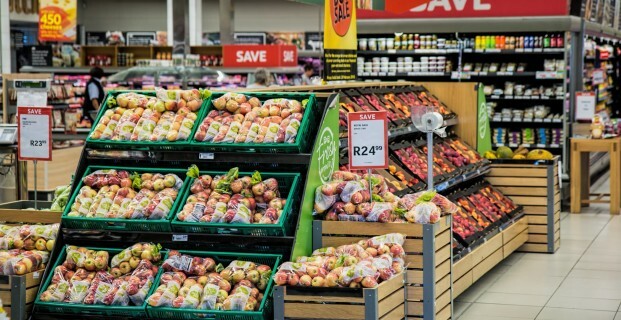 In addition to the anticipated demand at the end of the month due to the gap in SNAP disbursements, many federal workers who were temporarily without paychecks needed to turn to community programs for food assistance during the shutdown. Luckily, every year Minnesota FoodShare puts on the largest food and fund drive in the state — the March Campaign. The March Campaign brings together organizations, congregations, businesses, and individuals to stock over 300 food shelves across Minnesota. Last year’s March Campaign raised over $8.1 million and 5.5 million pounds of food. It is important to note that if the government shuts down again on Feb. 15, SNAP is fully funded through the end of March, and most likely April as well. However, if the government does shut down again later this week SNAP benefits for May and the subsequent months are at risk.